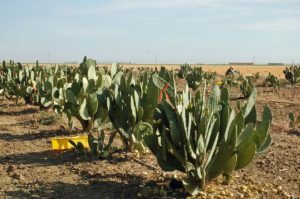 This project was conducted by Dr. Gary Bañuelos to develop information about the nutritional and nutrient value of Cactus Pear Fruit (Opuntia ficus-indica) as well as production, marketing, and consumption data. 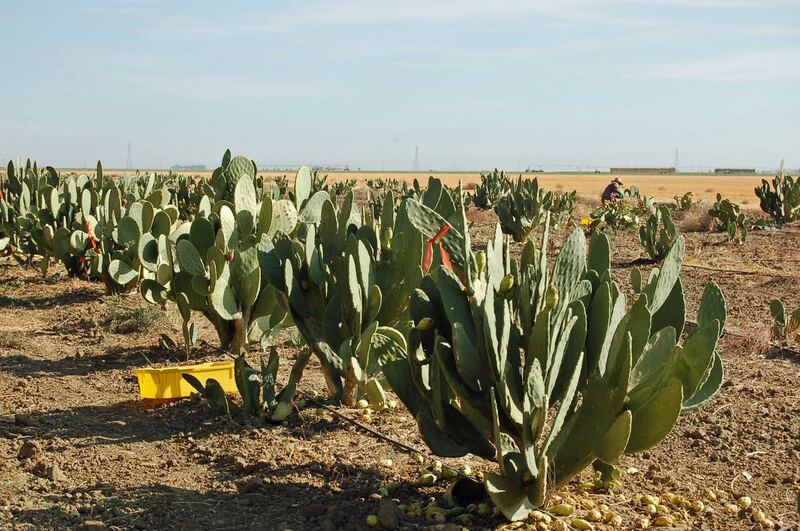 Opuntia has the potential to become a new cash crop that can be grown on unused land . Opuntia is also known to contain many health benefits including, but not limited to, treating hyperglycemia, arteriosclerosis, and diabetes, among others. 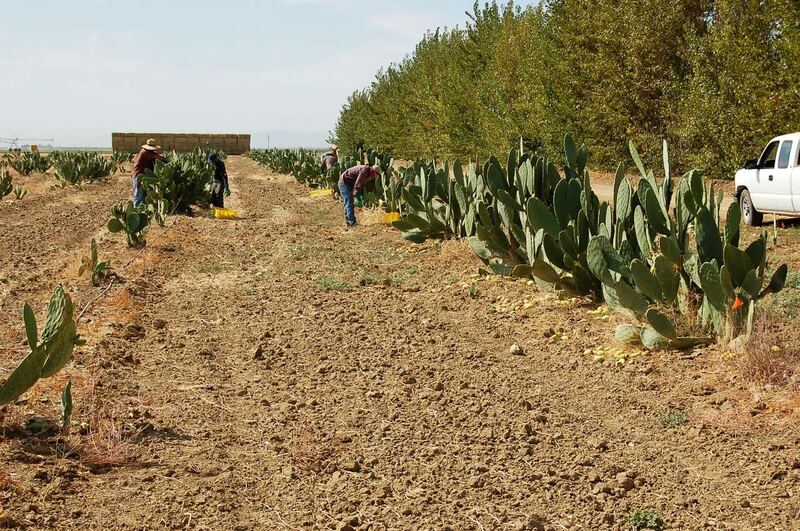 The goal of this project was to provide new and realistic information for growing and producing value-added products from Opuntia crops that were irrigated with poor water quality, grown under non-irrigated conditions, as well as grown in poor quality soils with good quality water. 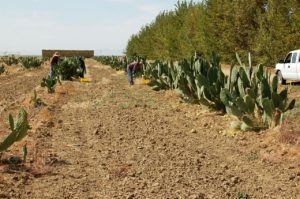 Irrigation systems, designed by California State University Fresno’s Center for Irrigation Technology (CIT), were used to apply water to the Opuntia varieties on a 5-hectare site located on Red Rock Ranch near Five Points, California. Collect fruit and cladode samples on a semi-annual basis and determine yields. Process fresh fruit products into dehydrated fruit powder drinks at Mercer’s Processing Plant. Map and localize the spatial distribution of Se (selenium) inside frozen intact tissues of fruit and cladodes of different Opuntia varieties using micro X-ray absorption spectroscopy. Identify and quantify different potential chemical Se-compound forms (inorganic-Se and organic-Se) contained inside fruit and cladode tissues and in the dehydrated fruit juice food products made from three different Opuntia varieties. Fresno State students conducted the Vitamin C and total phenolic laboratory analyses.